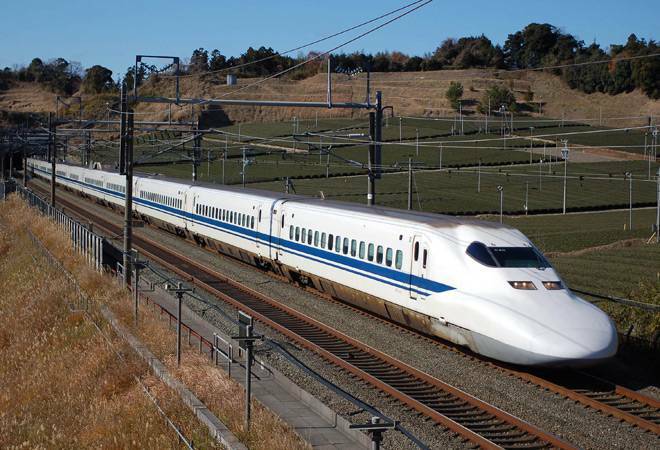 Hoping to overcome the villagers' resistance, the National High Speed Rail Corporation Limited, the nodal body to implement the project, has tweaked its strategy to ensure that the Mumbai-Ahmedabad bullet train is on track for a 2022 launch and is agreeing to many of the conditions. Ponds, ambulances, solar street lights and doctors are some of the demands villagers in Maharashtra's Palghar district want met before they give their nod to the government's ambitious bullet train project. Hoping to overcome the villagers' resistance, the National High Speed Rail Corporation Limited (NHRCL), the nodal body to implement the project, has tweaked its strategy to ensure that the Mumbai-Ahmedabad bullet train is on track for a 2022 launch and is agreeing to many of the conditions. Failing to make much headway through mass contact programmes in the 23 villages where it faced extreme resistance, the NHRCL, in a major change in stand, is approaching individual landowners for their demands in addition to the compensation they are due. "We have changed our stance. Earlier, we would gather villagers at village chowks to convince them of the good that the project would do. That did not work, so we have decided that we will now target landowners only and ask village heads to give in writing what they want in addition to the compensation for their land," said NHRCL spokesperson Dhananjay Kumar. About 110 km of the 508 km train corridor passes through Palghar. The project requires an estimated 300 hectares across 73 villages, affecting about 3,000 people, in the stretch. Land acquisition for the Japan-backed USD 17 billion bullet train -- that will cut down the distance from Mumbai to Ahmedabad to under three hours from the usual seven -- is being bitterly opposed by tribals and fruit growers in Palghar district. Slowly, however, the NHRCL crew seems to be turning the tide in its favour by targeting specific demands of villagers, most of which are related not to their personal needs but to basic necessities such as street lights and ambulances for the entire community. Mankundsar village in the district, for instance, had a leaking pond. Their demand? A boundary wall for the five hectare pond. Similarly, Khurd and Vikramgar villages demanded deployment of regular doctors. Bete village asked for an ambulance and solar street lights while another asked for a bullet train station. Yet another, Kelwa, asked for regular delivery of medicines. All these demands have been made on the letterhead of the village sarpanches on behalf of the landowners in the villages, a move to ensure probity from both sides. "We will comply to their demands if they give it to us in writing. The project is going to bring employment and development to the region and we are happy to help them," said Kumar. Among those opposing land acquisition in the corridor are sapota (chiku) and mango growers. Like 62-year-old Dashrath Purav, a farmer in Palghar, who said authorities have asked him to hand over the land on which he has toiled for over three decades to develop a sapota plantation. "The government should ensure that at least one of my two jobless sons gets a government job before I hand over the land," he said. Tribals from Palghar's Hanuman Nagar and Chandra Nagar villages, who were displaced to construct the Surya dam project in their area in 1990, are also opposing the bullet train project. The villagers allege that they still do not have clarity and were given no time to respond to the notices. In Gujarat, the project is facing resistance though not as stiff. Officials do not seem too worried about the fate of the project in the state as NHRCL has already served notices to 185 of 195 villages in Gujarat to give up their land under the state government's Land Acquisition Act. However, some affected landowners are continuing their protest against the acquisition, raising objections in a memorandum given to collectors of the districts involved, said farmer activist Sagar Rabari. According to Krishnakant, an activist with NGO Paryavaran Suraksha Samiti, it is a two-state project and the acquisition process should be handled by the central government as the appropriate authority, not the state government. "It cannot be done under the provisions of Gujarat's amended Land Acquisition Act. Farmers are likely to challenge the land acquisition process in the court of law," he said. Kumar, however, pointed out that land is a state subject. "This is why we are following the 2013 Act in Maharashtra and the 2016 Act in Gujarat," he said. Villagers also alleged that they have been getting notices late as they are not being sent through registered post but through local officials who delay in serving them. In Gujarat, around 850 hectares is required to be acquired for the project from around 5,000 families across eight districts -- Ahmedabad, Kheda, Anand, Vadodara, Bharuch, Surat, Navsari and Valsad. Besides Maharashtra and Gujarat, the proposed high speed rail corridor will pass through the union territory of Dadra and Nagar Haveli. For NHRCL, the promises made to villagers in the two states are key to meeting their deadline flag off the project on Independence Day four years later, on August 15, 2022.